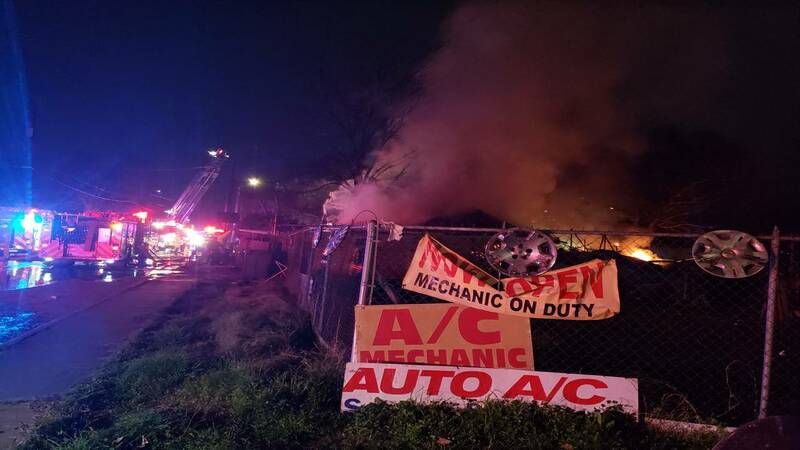 SAN ANTONIO - A man who was cooking outdoors may have accidentally started a fire that displaced his family and his neighbors, according to the San Antonio Fire Department. The fire broke out around 4:30 a.m. Tuesday behind one home on Humboldt Street near Somerset Road. Firefighters arrived and soon found out the flames had spread to a pile of debris in the backyard, as well as the home. Before they were able extinguish the fire, it also began spreading to the home next door. “The homeowner of the original house told us that he was back there cooking. The fire got away from him,” said Battalion Chief Andy Deason. Firefighters had a tough time battling the fire because of a large amount of clutter in both backyards, Deason said. The debris also acted as fuel for the fire. Each time it appeared firefighters had knocked down the flames, the fire would spark up again. Eventually, though, they did get the upper hand and put out the fire. Still, it caused a combined $100,000 in damage to the two houses. Deason said the fire left the original house with heavy damage. The second home sustained damage, mainly to its attic. Everyone inside both homes had escaped before firefighters arrived.